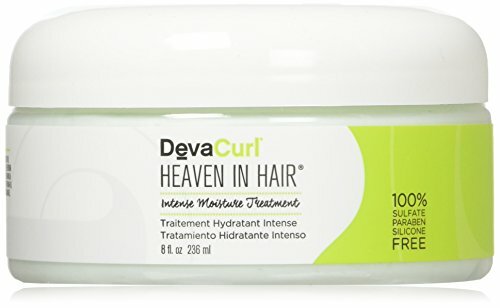 Devacurl: Worth the hype? or Overpriced? **DISCLOSURE: Hey there! I may be an affiliate for some of the products that I recommend on my blog. If you purchase those items through my links or discount codes, I will earn a small commission. You will NEVER pay more when buying a product through my link and I will NEVER recommend a product that I don't or wouldn't use myself. When you order through my link, it helps to support this blog so I can continue to offer you lots of great free information. For more information, you can check out my full disclaimer here. If you couldn’t tell… I have curly hair. Like super curly hair. Like when curls were being divvied up and handed out to humanity I got extra servings. So if you have straight hair and really wanted curly hair… sorry, I’m pretty sure I got your serving of curls. JK… But seriously having curly hair has its downfalls. Like finding products that help tame frizz and fight tangles all while keeping your curls bouncy and free. 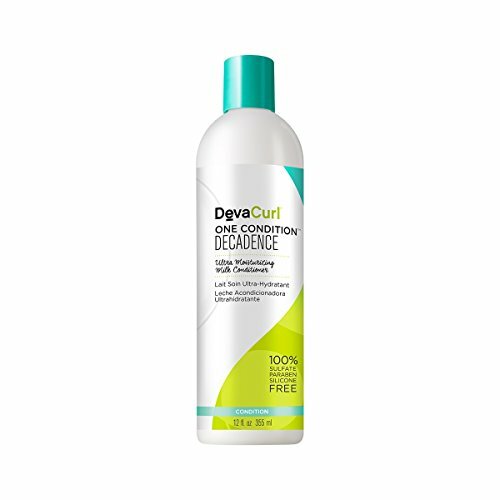 Well here comes my all time favorite go-to brand for curly hair… DevaCurl! It was created for curly girls by a curly girl, who is also a stylist with her own method of cutting curly hair (more on that in a different post… maybe). The line that I use is called Decadence and it is the line meant for super curly hair and it makes my hair feel SOOOO SOFT! It also makes my hair easy to detangle… I mean I used to have to either struggle for hours using a whole bottle of cheap conditioner to detangle my hair OR end up literally ripping the hair out of my head during detangling sessions. Now with my normal tangles (when my hair is extra tangled I still have to use extra conditioner but NOT a whole bottle) I can wash and detangle my hair in under 30 minutes without using extra detangling products or ripping out chunks of hair! This shampoo is amazing! It is kind of weird at first because it doesn’t lather but it does leave my hair feeling soft. It cleans without stripping my hair which is really important to me. I can usually detangle my hair with a wide tooth comb after using this. 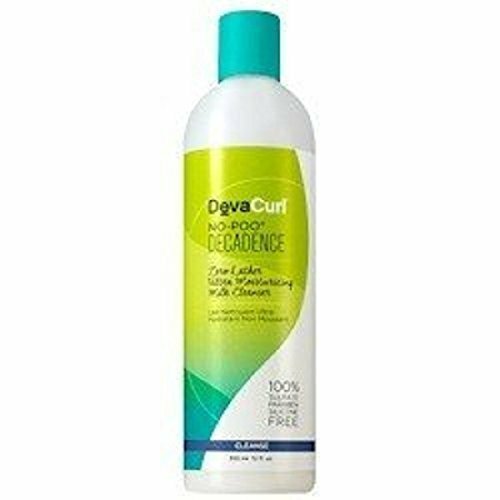 This conditioner makes my hair feel even more soft and also helps with the curl definition and frizz taming. I usually don’t need to apply a lot of this product to my hair and it has enough slip for me to comfortably brush through my hair with a Denman brush. This styler is great! 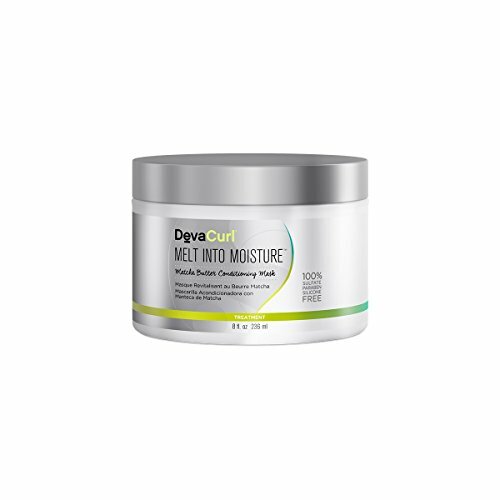 It helps maintain your natural curl definition without the crunch of gel. It works better at keeping my curls from frizzing up than other styling creams that I’ve tried. I usually don’t use gel after this unless I want my hair to last more than 2-3 days. It will definitely give your wash and go a bouncy fluffy look with a natural looking amount of curl definition. This deep conditioner is exactly what it sounds like. It leaves my hair feeling very soft and smooth. It also melts away tangles and helps to tame frizz. I do think this product also helps with curl definition. I wash my hair with the shampoo and conditioner 1-2 times each week. If I need to wash in between that time I will co wash with a different conditioner. Every other week I will wash my hair with a shampoo bar (to clarify) and then apply the Heaven in Hair deep conditioner and let it sit with a heated conditioning cap for 15-30 min (or however long I leave it on my head). I rinse the conditioner from my hair leaving about %25 of the conditioner on my hair as a leave in. Then I apply my favorite oil (now I’m loving castor oil) then the SuperCream styler. I do use the DevaCurl towel to dry my hair and it works great! 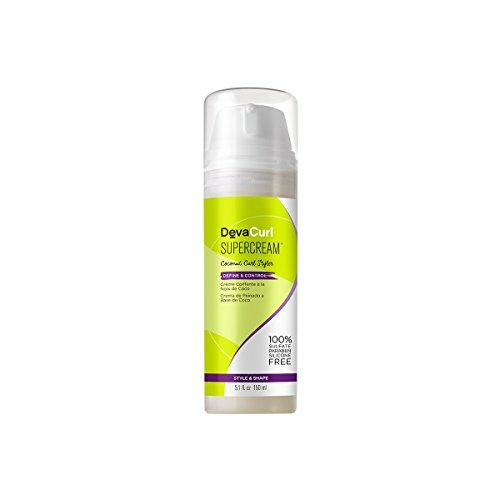 It dries my hair quickly and doesn’t add any frizz to the process. I have found that other microfiber towels work about as well as this one. So unless you get it with one of the kits I would just get a towel from the cleaning section of your favorite store. You can also find them on Amazon. ***UPDATE I now use their product, Melt into Moisture for my deep conditioning sessions and it is AMAZING!!!! I like to leave it in my hair overnight or as long as I can. It makes my hair so soft and I don't need to leave any of it in my hair. With this I am able to keep my hair moisturized for longer in between wash days. You can find these products on Amazon, which is the cheapest place I’ve found them aside from the Military Exchanges (AAFES or NEX). They are also available at Ulta or Sephora which is awesome if you frequently shop there because you can get your rewards points. You can get them from the DevaCurl website; however, I haven’t really seen a perk to shopping there other than depending on your order size you get samples. I would like to mention that I have used their original line of shampoo conditioner, and styler and I loved those. So if your hair is not as curly or not as course as mine you might want to start of with that one. It did work well for my hair and I actually liked the tingle the shampoo gave my scalp but I did find the Decadence line helped my hair retain moisture longer. So I could go longer between washing/remoisturizing my hair. Let me know in the comments below what you think and if you’ve tried DevaCurl Products.